User access levels eliminate the possibility of leakage or dissemination of information. How to distribute user access levels? 2. 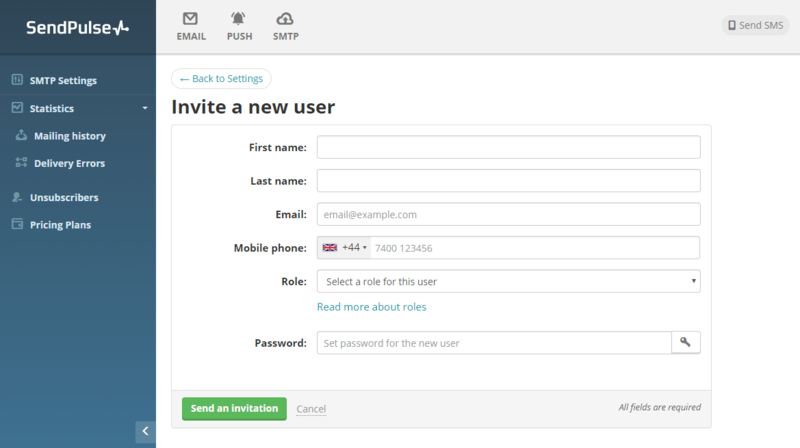 Click "Invite a new user"
Fill out the form and click "Send an invitation". Let’s review each of them in more detail. A designer has access to campaigns, templates and to email subscription forms. Mailing lists, email campaigns setup and any other sections are not available for the designer. An accountant has full access only to pricing plans, balance and payment history. He can change the pricing plan and pay for various services. 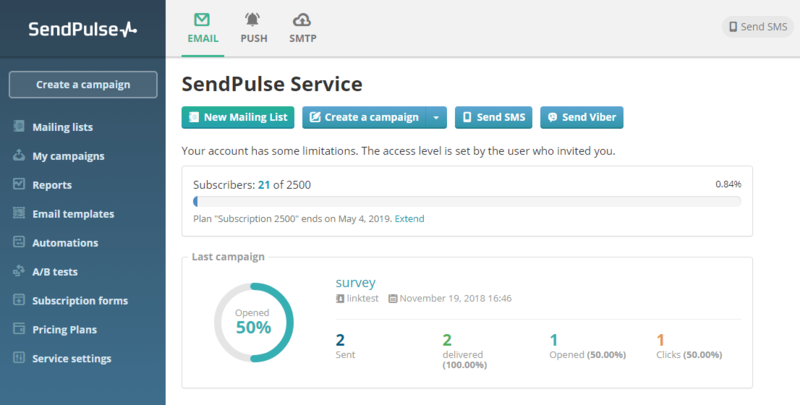 An analytics expert has access to mailing lists, campaigns statistics and reports, to email templates (he does not have the permission to edit/delete/create templates), to automations and A/B tests. He can view the split-test or autoresponders. The analytics experts don't see the balance, pricing plans, SMTP settings, they can't export subscribers from Automation360. 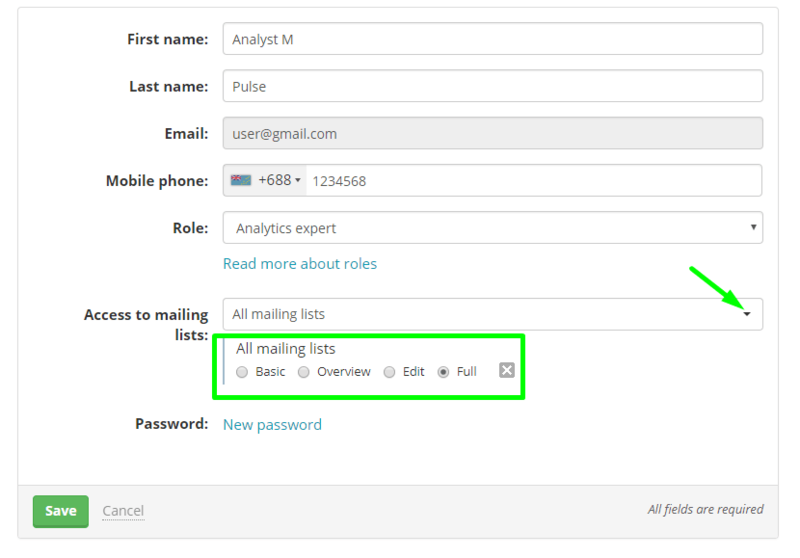 You can limit access to your mailing lists for Analytics Expert. While creating an invitation, you can choose a list to which he will have access. Similarly, you can give access to the books to "Manager" and "Editor". Basic. The user can see a list of address books, as well as the number of subscribers in them. Overview. 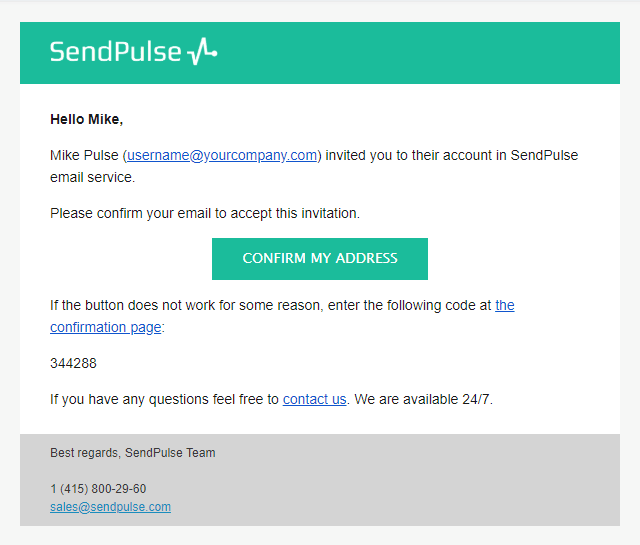 In addition to the list of books and the number of subscribers, the user can view the email address from within each list. Edit. The user can add and delete subscribers' addresses. He will not have the opportunity to export them. Only the user with full access to books can do this. Full. Without limitation in the actions. The Editor has access to mailing lists, campaigns, reports, to email templates design, A/B tests and automations. The following sections are also available for him: SMS sender name, sender email, unsubscribe links, unsubscribe page. The Moderation section and White label are available only in playback mode. Editors cannot delete or edit website settings in Web Push service, change password or turn switch on and off tracking in SMTP service, can't see MERCI token balance. In addition to the rights of Editor, Manager has access to the pricing plans and the ability to create additional users, mailing lists, archives and subscription forms. The Manager does not have access to such options as “Security,” “Email Service," and “API,” which are locked in the Settings section. Superman has full access to all sections. Rate this article about "User Access Levels"